A full set of cutters. 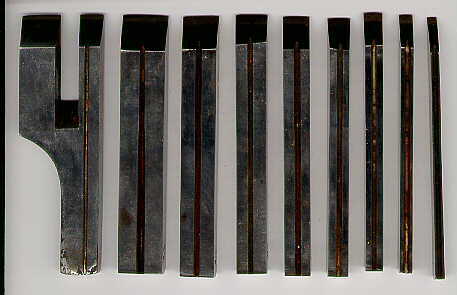 Here are the representatives of each size of cutter shipped with a Miller's Patent Plane. Their are 8 plow cutter's and 1, 1/4" tonguing cutter. The plow cutters range from 1/8" to 5/8", in the following sizes.1/8, 3/16, 1/4, 5/16, 3/8, 7/16, 1/2, and 5/8 inches. The cutters are marked on their side as to their size, the exception being the tonguing cutter. The thickness of the cutters is 1/4" and may vary slightly. These images will be upgraded as time permits. The Mirror finish on these cutters reflect the light so well that scanning them does no justice. The back of each cutter has a milled V groove in them. This groove seats the cutter and locks it in place on a matching V machined on the leading edge of the skate. The groove is approximately 1/16" deep. Each cutter is beveled to allow for clearance in the cut, the angle is 3 degree's, which is barely visible in this image. Here is a shot of the edge showing the size stamp on each cutter. You can also see that the end of each is rounded slightly. 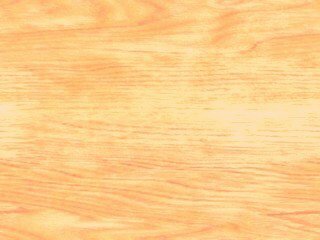 The size most commonly absent from a set is the 1/8" cutter, that is if you get any cutters with your plane. The cutters were shipped packed in a wooden case with a lid about the time of the type 2 planes. Earlier examples had a space fitted for them in the large box that housed the plane. 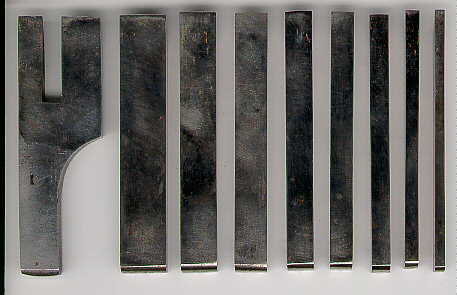 The earliest planes had cutters with a high degree of polish to their surface, typical of what would be seen on a knife. The surface has an almost mirror polish. For more on these early cutters see the "H&B connection".